After evolving as one of the leading technological innovation hubs in the world, Dubai is now all set to disrupt its entire legal system by implementing the application of Blockchain technology in its core system. The decision has been taken by the Dubai-based international court that looks into all civil and commercial disputes involving financial transactions. The decision is being appreciated by a lot of people from the industry and has been tagged as ‘Court of the Blockchain’. In order to make the innovation come true, the Dubai International Financial Center (DIFC) is about to collaborate with Smart Dubai Initiative (Government Backed) to create the blockchain legal system. Many scholars and techies from the industry have appreciated this change and claimed that such kind of Blockchain-based legal system will bring a positive turning point in bringing out efficiency and consistency in the legal system. DIFC and Smart Dubai Initiative plan to effectively structure a model on Blockchain Network that can use the smart-contracts to verify the court’s judgment in real time for efficient cross-border law enforcement. And since the blockchain network does not allow any kind of malpractices, the problem of document duplication won’t arise. Also, since Blockchain is very transparent in terms of its process, hence, the streamlining of the judicial process will be displayed in a much broader sense. They plan to effectively use the blockchain technology to help the courts exchange and share information in a decentralized structure unlike how they are carrying out manual tasks in the current case scenario. The innovation is not just being limited to solving civil court cases but also to handle disputes in the current blockchain ecosystem among many companies and financial institutions with terms & conditions encoded within the smart contracts. The way every individual government body in Dubai is approaching the Blockchain Technology, it seems like that by 2020, many individual projects under this technology will be completed and ready for the use. 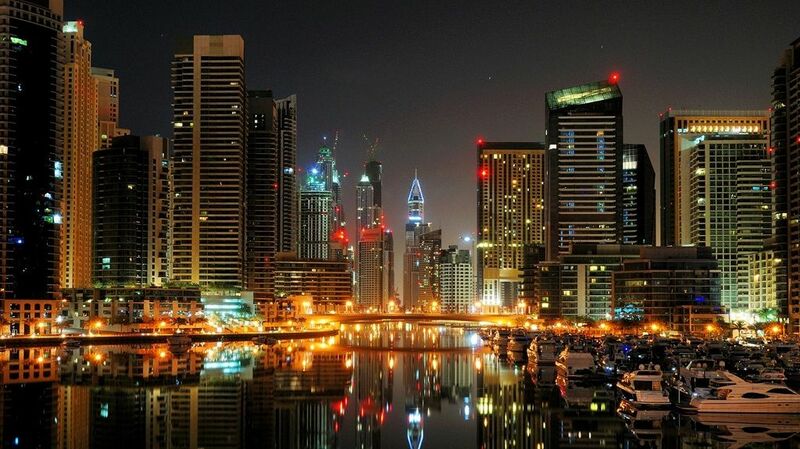 Apart from Dubai implementing Blockchain in its legal system, the Department of Economic Development, Dubai, also plans to develop a commercial business registration platform using the same blockchain technology. Also, Dubai Immigration & Visa Department had earlier announced that they will be developing a blockchain based passport system that will help them to eliminate manual checks in the airports, thus reducing human efforts and time consumptions. There are great times ahead. Don’t stay behind!